Have you ever wanted your very own Al Bundy action figure? Funko has heard your prayers and answered them. The popular toy company has unveiled their line of TV-based exclusives for the upcoming New York Comic Con. 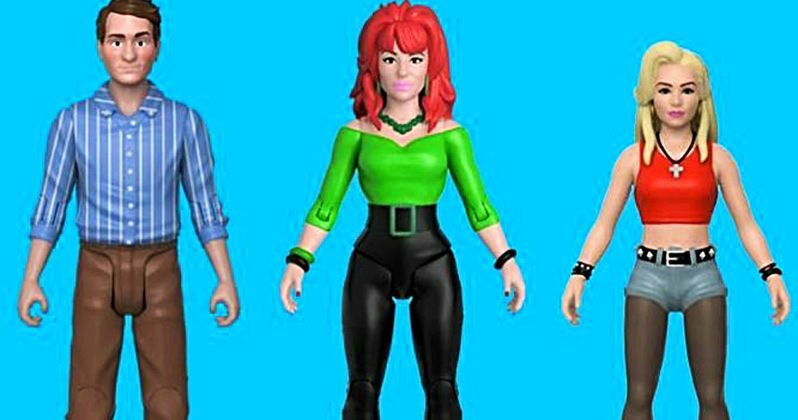 Included in their lineup is a set of Married with Children figures. The set includes Al, Peggy, Kelly and Bud in all of their early 90s glory. Unfortunately, it does not appear as though the Funko Peggy Bundy comes with bonbons as an accessory. Married With Children has been off the air for years now, but the series helped make Fox a success early on and gave American one of its most unconventional TV families in history. Ed O'Neil, if he had done absolutely nothing else with his career, would be forever remembered for his portrayal of Al Bundy. Luckily, he's got all of that Modern Family money coming in and has had quite the career outside of the show. As has most of the core cast. Even if the show ended more than 20 years ago, there are still plenty of people who would like to get their hands on these figures while at NYCC next month. Funko is bringing quite a bit more with them to the convention this year for TV lovers to enjoy. New Girl recently wrapped up a memorable run. For those who are already feeling nostalgic, the company has created a Cece Parekh Pop! figure, which will be available exclusively at the convention. For those who have an affinity for old school television, there will also be a Brady Bunch exclusive available at NYCC. Jan and her imaginary boyfriend George Glass will be available as a special Funko Pop! two-pack. If nothing else, this is a pretty clever way for them to sell people half an empty box. Whovians will also have reason to stop by the Funko booth, as there will be a Vashta Nerada Pop! Figure at the event, who are the figures responsible for humanity's fear of the dark, according to the Doctor. SNL fans also have reason to rejoice, as another two-pack exclusive includes Doug and Steve Butabi, aka the dudes from the sketches that inspired the movie Night at the Roxbury, as portrayed by Will Ferrell and Chris Kattan. Last but not least, fans of the Arrowverse on The CW have something to look forward to. Dr. Caitlin Snow's evil alter ego Killer Frost is finally getting her very own Pop! figure. Also, in a long overdue addition to the company's line is a Kara Danvers, aka Supergirl Pop! Figure. If you're going to be attending New York Comic Con, which takes place from October 4 through 7, and want to get your hands on any of these times, you must enter into a lottery. Those who wish to can do so over at the official Funko site. Be sure to check out preview images of all these new toys for yourself below.